Business never stops. Event Marquees provides a variety of industrial marquees for hire for a range of commercial applications in NSW, ACT, VIC and QLD. Industrial and storage marquee hire provides flexible space for all individual needs. As there is no foundation necessary, the position of the structure can be changed or extended as required. Long term or short term hire, small or large tent, find out what we can do for you! The length of the marquee is not limited! 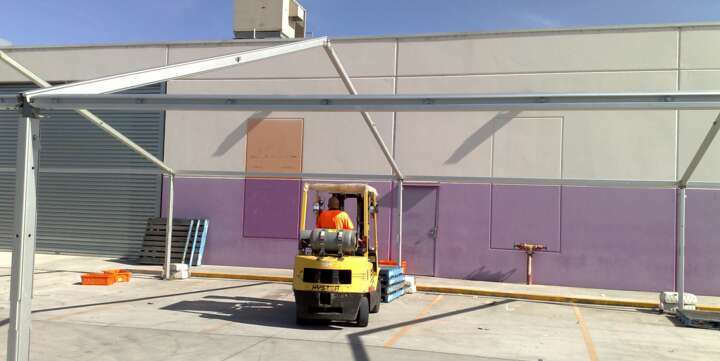 Industrial marquees are extendable by 3 or 5m in length. 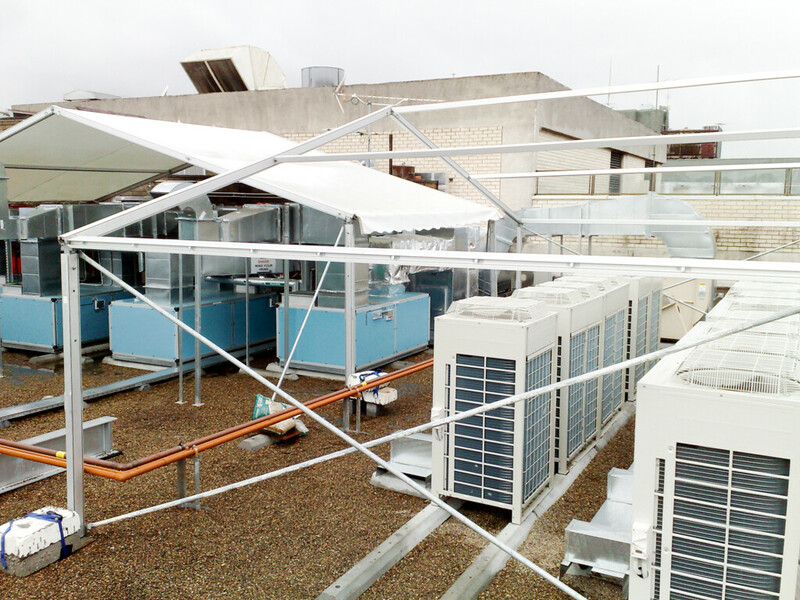 The design of the structures enables great flexibility and offers many options for the required commercial application. For example, the entrance/exit points can be created almost every 3 or 5 meters at any of the marquee’s sides. The width, or span of industrial marquees also come in many alternatives. The standard ranges from 4 meters all the way to 30m in width. 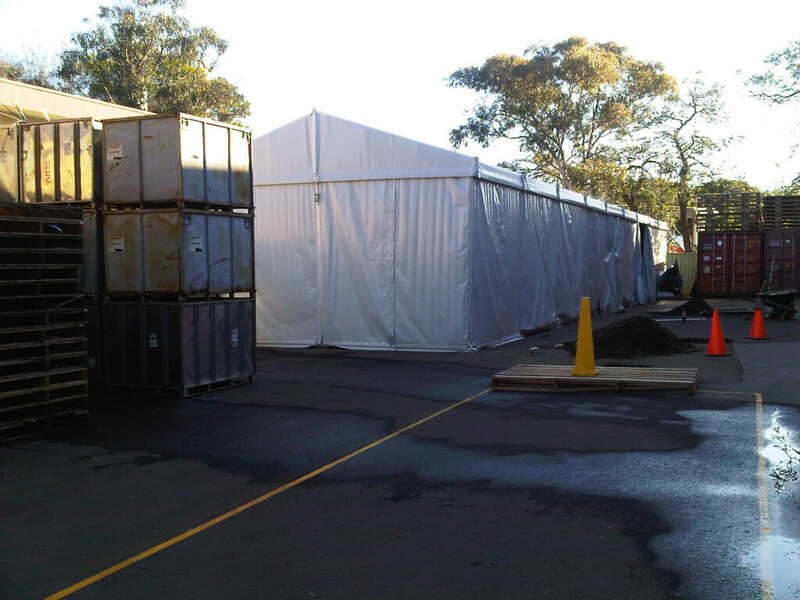 For a long term hire, we can also secure a custom made industrial marquee of any size. Standard is 2.5 meters in side height, with the roof pitch of 18 degrees the ridge height is then 4 meters. That is in a 10m wide marquee. 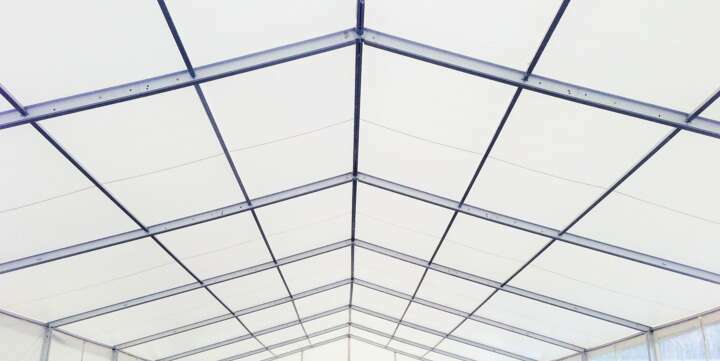 A 15 meter span marquee with 2.5m side height has a ridge height of 5.5m. Industrial marquees are available with 2.5m, 3m, 4m side heights. Our Industrial Marquees can be set up on any surface and usually within few weeks’ time. 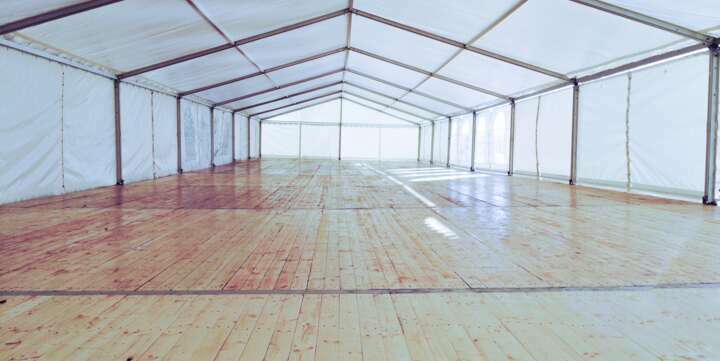 We have many sizes, for larger commercial tents allow for 4-8 weeks lead time. 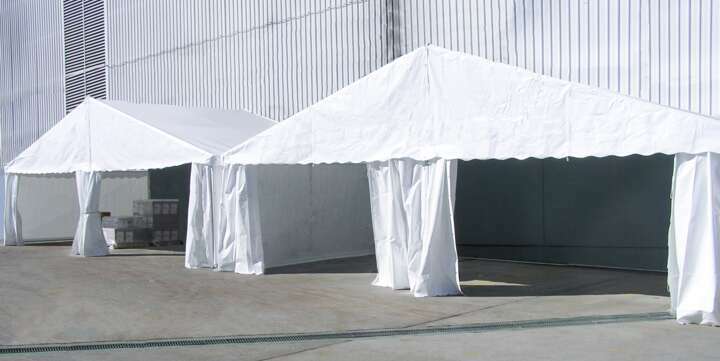 Smaller marquee sizes are usually available for immediate delivery and assembly in NSW, ACT, VIC and QLD. 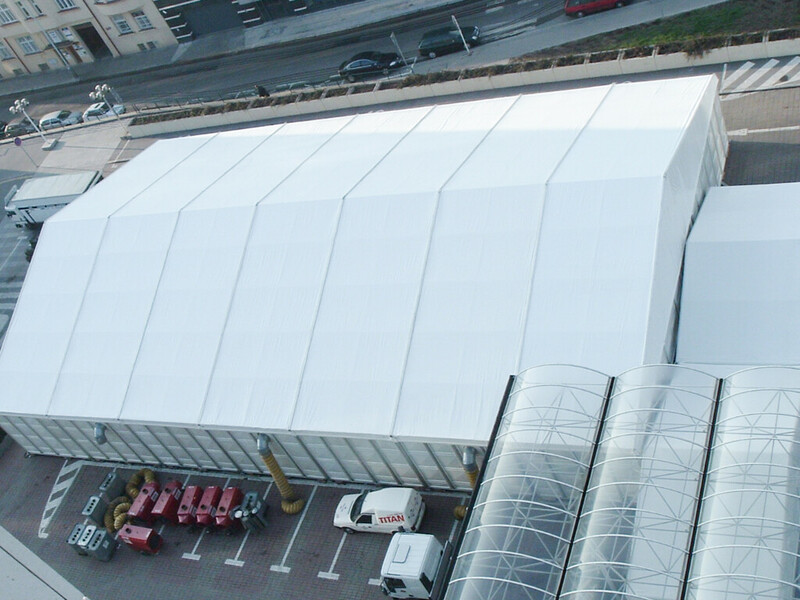 So when you need heavy-duty space for short-term production, extra building capacity for staff, space for storage, or quick emergency 100 % weatherproof covering, hire from our large commercial tents range of flexible, affordable and safety-regulated marquees. Contact our experienced team today! Call our friendly team to discuss your industrial marquee hire options now!